149,8 x 201 cm - 58 15/16 x 79 1/8 in. Henri Rouart, Paris, circa 1907 - Vente Rouart, galerie Manzi-Joyant, Paris, 9-11 décembre 1912, n° 180 (repr.) - Mme Hélène Marin (née Rouart), Paris, 1929 - Mme Bricka (sa fille), Montpellier, circa 1937-1946 (?) 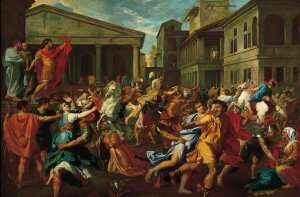 - [Leonardo] Benetov, Paris - Huntington Hartford, New York - E. V. Thaw et Stephen Hahn, New York, 1958 - Norton Simon, 3 mai 1978 - Norton Simon Museum, Pasadena, 1978 - Norton Simon Foundation, 1983 (Don Norton Simon). Paris, musée de l'Orangerie, 1937, n° 56 - Wuppertal, Von der Heydt-Museum, 2016-2017, (n.n. ), repr. p. 121. Duranty, 1872, p. 335-336 - Moore, 1891, p. 321 - Duret, 1894, p. 204 - Marx, 1897, p. 121 - Lafarge, Jaccaci, 1907, I, p. 252; II, p. 343-344 - Alexandre, Les Arts, décembre 1912, p. 17 (repr.) - Moore, 1918, p. 65 - Lafond, 1918-1919, I, p. 29, 35-36 (repr.) - Meier-Graefe, 1920, p. 8, pl. 8 - Meier-Graefe, 1923, p. 22-23, pl. 8 - Jamot, 1924, p. 9-10 - Walker, 1933, p. 185 - George, 1936, p. 5-9 - Grappe, 1936, p. 10 - Mauclair, 1937, p. 7, 69 (repr.) - Mitchell, 1937, p. 176 (repr.) - Rebatet, 1944, p. 37 - Mauclair, 1945, p. 69 (repr.) - Rouart, 1945, p. 9, 70 n° 8 - Lemoisne, 1946-1949, II, n° 273, repr. p. 135 - Halévy, 1960, p. 67 - Reff, 1960, p. 172 - Picirka, 1963, p. 10 - Reff, 1963, p. 246 - Halévy, 1964, p. 57 - New York Cultural Center, 1964, fig. 18 - Reff, Art Bulletin, décembre 1964, p. 555 - Lassaigne, Minervino, 1974, n° 60,repr. p. 88 - Reff, The Artist's Mind, 1976, p. 163, 199, 326 n° 209 - Hüttinger, 1978, p. 29 - Terrasse, 1981, n°18 - McMullen, 1984, p. 109, 112-113 - Rouart, 1988, p. 15 (repr.) - Boggs,1988, p. 89 - Armstrong, 1991, p. 115-116, fig. 59 - Thomson, 1992, p. 34-37, fig. 28 - Kendall, 1993, Degas Landscapes, p. 23 - Rosenberg, 1994, p. 254, fig. 72b - Londres, Chicago, 1996-1997, fig. 59, repr. 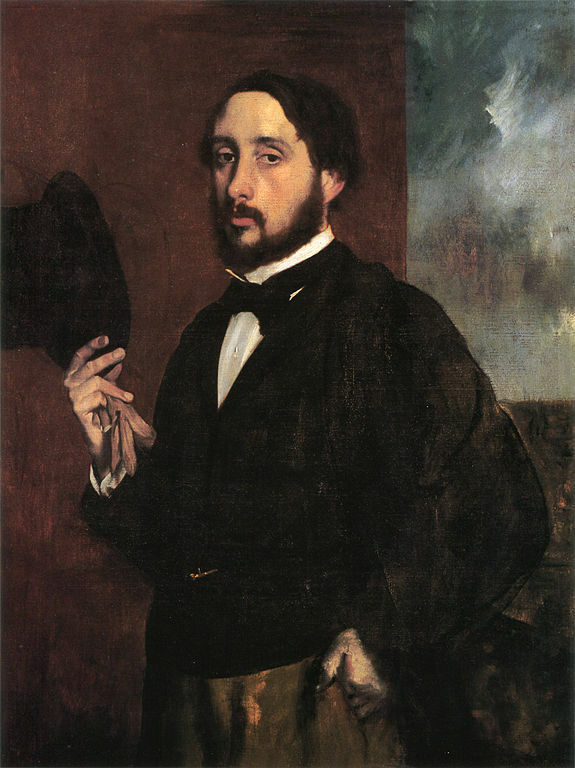 p. 61 - Degas in the Norton Simon Museum, 2009, n°1, repr. p. 73 - Karlsruhe, Staatliche Kunshalle, 2014-2015, fig. 5, repr. p. 34.